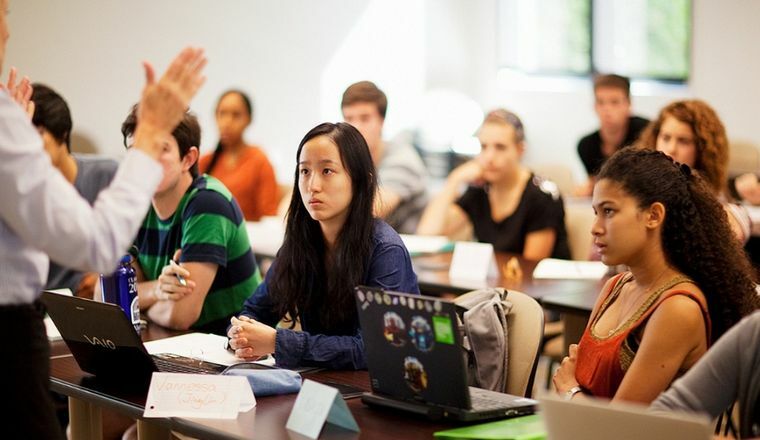 New York Law School Launches Summer Pre-Law Pipeline Programs for High School and College Students Both Pre-Law Programs Are Offered at No Cost to Participants College Program Will Take Place in NYLS’s Joe Plumeri Center for Social Justice and Economic Opportunity. In 2020, NYLS Will Add a Non-Traditional Pipeline Program for Working Adults New York, NY (April 3, 2019) – New York Law School (NYLS) is launching two summer pre-law pipeline programs for local high school and college students. Both programs are offered at no cost to participants. Students will attend classes at NYLS’s Tribeca campus beginning this summer. Applications are now being accepted—See links below. The goal of the programs is to provide students from underrepresented populations with a dedicated set of opportunities to explore the law and create a pathway to earn their J.D. degrees at NYLS. Development of the programs was led by the NYLS Office of Diversity and Inclusion and the NYLS Faculty Committee on Diversity and Inclusion. In addition, NYLS is laying the groundwork to launch its Non-Traditional Pipeline Program, for civil servants and other working adults, in spring 2020. Since 2013, the School has informally partnered with paralegal studies programs and government agencies to create new on-ramps to law school. The Non-Traditional Pipeline Program will represent a formalized approach to this work. NYLS will share more details prior to the launch. Supporting a more diverse law school community and legal profession is a critical component of NYLS’s Institutional Diversity Plan, its 2013 Strategic Plan, and its forthcoming 2019 Strategic Plan. About the Undergraduate Program Participants in the Summer Pre-Law Program attend courses at NYLS for two consecutive summers. The program is open to rising college juniors who study in the New York City metropolitan area, or elsewhere in New York State. NYLS will work directly with undergraduate partner institutions to identify candidates, and the inaugural class will include approximately 25 students. The program begins on June 24, 2019 and runs for four weeks the summer before students’ junior year and four weeks the summer before students’ senior year. They will use NYLS’s high-tech Joe Plumeri Center for Social Justice and Economic Opportunity, home to the School’s 20-plus clinical and experiential programs, for this portion of the program. About the High School Program Through a partnership with the nonprofit Legal Outreach, NYLS will host Legal Outreach’s Summer Law Institute for five weeks, beginning in July 2019. For 35 years, Legal Outreach has prepared urban youth from underserved communities to pursue higher education. Its Summer Law Institute teaches rising ninth graders about law school, legal careers, criminal justice, and the criminal trial process. Students explore topics such as stop and frisk, search and seizure, evidence, arraignment, and bail. They also participate in a moot court before actual judges. In addition to Legal Outreach’s curriculum, NYLS will facilitate a Speaker Series for its Summer Law Institute participants, drawing from its rich alumni base. The new program complements ongoing work by NYLS’s Impact Center for Public Interest Law and students at the Charter High School for Law and Social Justice in the Bronx. The Impact Center engages Charter High School students in a range of programs that teach legal concepts, including mock trials, the “Street Law” program, mock law classes, and more. • Undergraduate students can apply here through April 30, 2019. Decisions will be announced in mid-May. • Rising ninth-grade students can apply here. About New York Law School Founded in 1891, New York Law School (NYLS) is an independent law school located in Tribeca, the heart of New York City’s legal, government, financial, and emerging tech centers. Known as “New York’s law school,” NYLS embraces the city as its classroom by complementing a rigorous legal education with an innovative and diverse set of “uniquely New York” experiential learning opportunities. Since opening its doors, NYLS has produced graduates who have gone on to hold high elected and appointed office in the city, lead large and small firms, and gain broad recognition as captains of business and industry. Its renowned faculty of prolific scholars has built the School’s strength in key areas of the law, including business and financial services, intellectual property and privacy, and government and public interest law. NYLS has more than 18,000 graduates and currently enrolls 1,000 students in its full-time and part-time J.D. programs. The School also offers an advanced-degree program in Tax Law. About The Plumeri Center The Joe Plumeri Center for Social Justice and Economic Opportunity, dedicated in November 2015, is home to NYLS’s law firm and provides free high-quality legal services to New York City’s diverse, low-income, and veteran populations who would otherwise be unable to afford legal representation. Made possible by a generous gift from Joe and Susan Plumeri, the Center’s innovative mission, sophisticated design, and ground floor location provide an unparalleled access point to the School’s legal services. The Plumeri Center also enables NYLS students to fully realize the benefits of experiential learning and skills training within a true clinical setting that is part of a new modern legal education. The Center is home to more than 20 clinical and experiential programs, a reception area for clients, study space for students, private work areas, and a state-of-the-art simulation center with direct-to-digital recording technology for student skills training. Previous Are You a Good Person?